Lancôme will launch La Vie Est Belle Éclat next month. 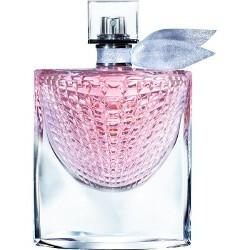 The new fragrance for women is a flanker to 2012's La Vie Est Belle Eau de Parfum. Notes for the gourmand floriental include bergamot, orange blossom, white flowers, vanilla and sandalwood. Lancôme La Vie Est Belle Éclat will be available in 30, 50 and 75 ml Eau de Parfum. Sounds decent. Any idea if it will appear stateside? Some of the other flankers that sounded better than the original never showed up here. I like the bottle design too!